^ Lloyd, Hugh (16 July 2008). "Much-loved comedy actor, he went on to more serious roles". The Guardian. Retrieved 30 December 2018. ^ "June Whitfield Interview". The Guardian. 11 December 2011. Retrieved 30 December 2018. 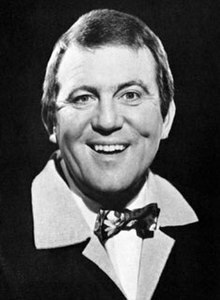 ^ "Terry Scott, epitome of the English sit-com, dies aged 67". HeraldScotland. Retrieved 9 January 2018.